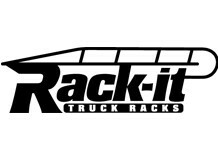 Since 1986, Rack-it® has been manufacturing utility truck racks with everyone’s needs in mind. From construction workers to recreation enthusiasts, all agree that a Rack-it® truck rack is complete with all the features you’re looking for and more. Free of the defects found in other manufacturers’ racks, a Rack-it® truck rack will serve you well for a lifetime …guaranteed!